Are you afraid of the dark? Do you worry about whatever went bump in the night? If you're living in the Kings of War universe, you should be. These creatures of terror are massing and heading onto the field of battle as the Nightstalkers. Mantic is taking pre-orders for this new faction now. A whole new faction is making their way onto tabletops in Kings of War: Vanguard. The dwarves have been roused from their mountain strongholds and are setting on the path to conflict. In this article from Mantic Games, you can check out not only the new figures, but take a look at some new Mercenary models that could be joining them, or you, for the right price. Something big is happening over in Mantic's Kings of War: Vanguard. Well... it's big, but it's also small. Dwarves are making their way into the game. We get a look at how this new faction works, along with a look at several of the figures in this preview over on Mantic's page. As I've stated many times, I'm a fan of companies posting the rules for their games up online for free. There's a lot of trust there, that you're going to see the rules, love the game, and then go out and buy it as well as the minis. 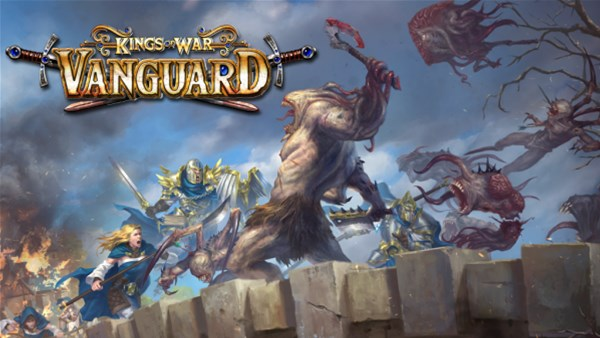 Mantic has trust in their Kings of War: Vanguard game, and is proving it by putting the rules for it up online for free. You can get your copy now. The Kings of War world is getting a new addition. Vanguard, the skirmish variant of the game, is now available for pre-order. 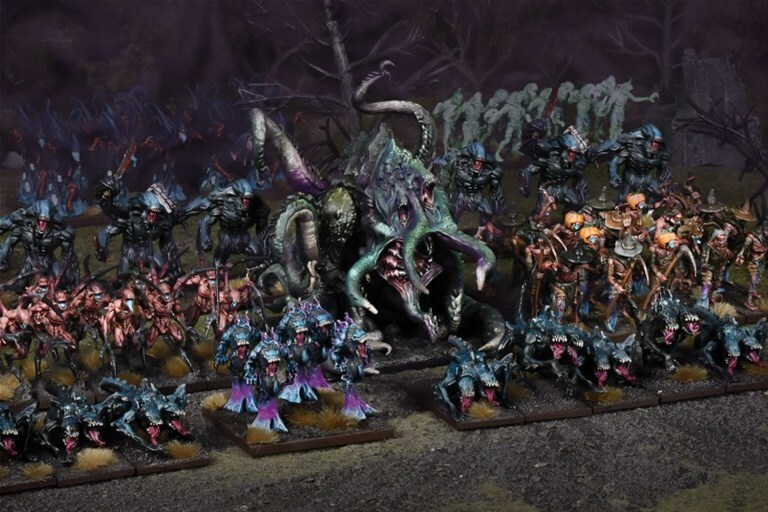 Mantic's posted up a blog talking about this new version of the game, as well as some further details about using your Kings of War figures in it, and some info about what's needed to play. Take a look for yourself. There's some big news coming from Mantic... quite literally. 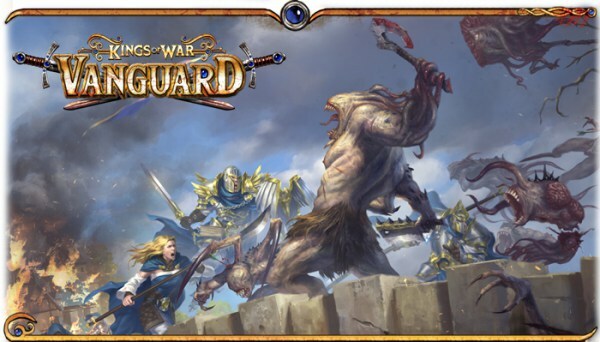 They're releasing a new giant for Kings of War, and it's certainly that on the tabletop. Just check it out. Pre-orders are coming next week, which will begin an entire month of Kings of War news and updates. Big models are my favorite type of models. And Kings of War is getting a quartet of new huge minis players can add to their forces. Mantic is taking orders for these figures. And if you want to make a whole army around these centerpieces (being in the center, as they often are), they've got some bundle deals for doing just that as well. Big miniatures are my favorites. Sure, I have a fondness for Gretchin and Skinks and such. But the really huge figures are my real favorites. 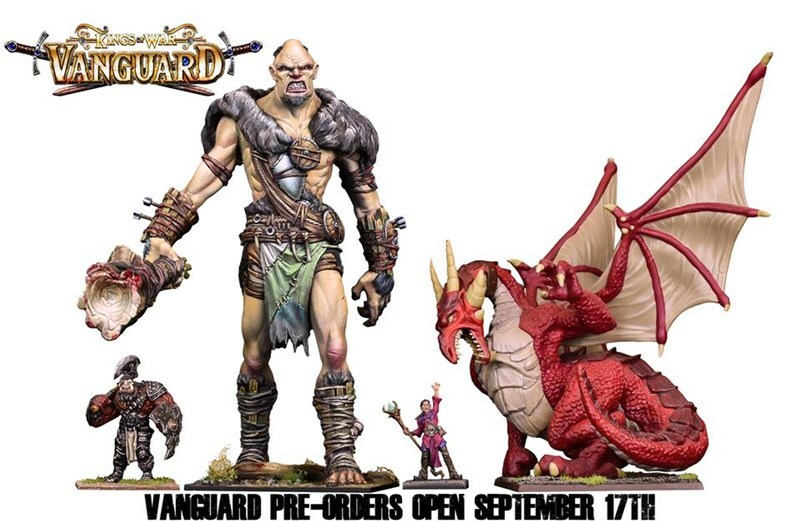 And Kings of War: Vanguard has some huge minis coming with it. 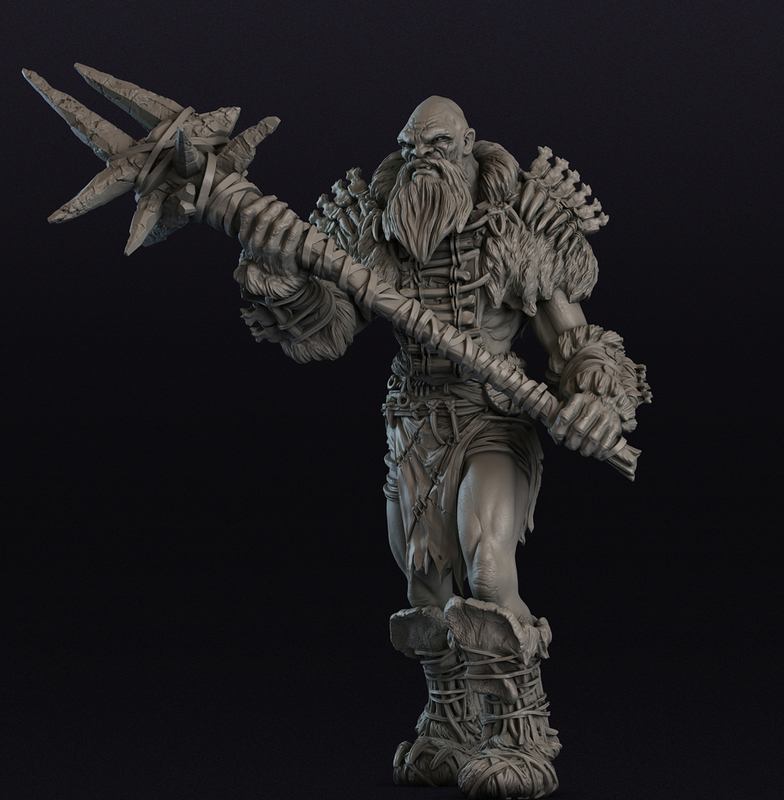 Mantic is showing off renders of the giants that you can get as part of the Late Pledge campaign for the game. 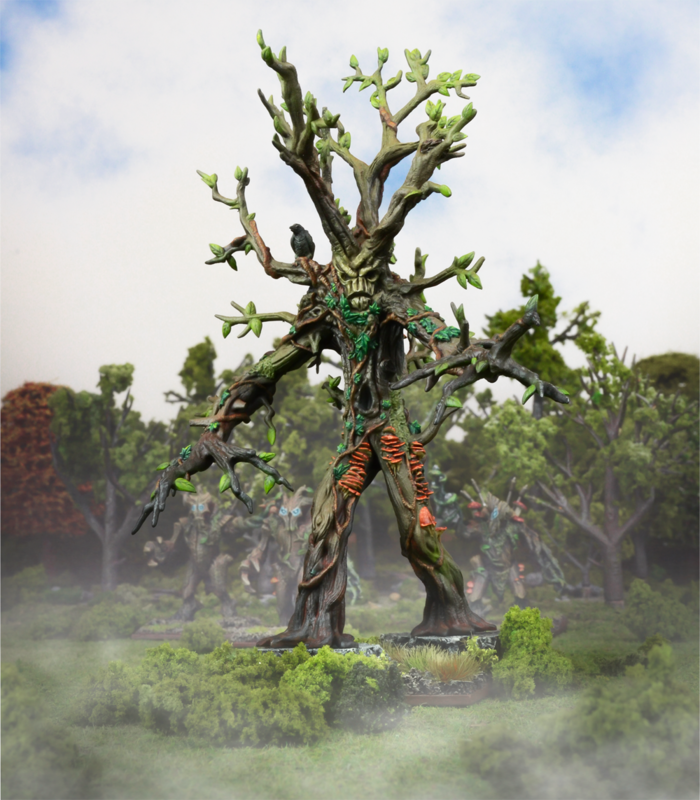 These figures clock in at 180mm tall, with plenty of alternate parts to customize your kit and create different types of giant. When a company puts out a game, they obviously want it to be as perfect as possible. But even with a couple dedicated playtest groups, things can be missed. That's where a public beta can help. And that's just what Mantic's got going on for Kings of War: Vanguard. Most of the rules are done and ready. It's just the details that could use some work still. There was kind of an explosion of Kickstarters here in the past several weeks. With all the campaigns going on, its easy for one to have slipped by your notice, to you just didn't have the funds for one because you wanted to back another. It happens. Thankfully, there's the late-pledge time for many campaigns. 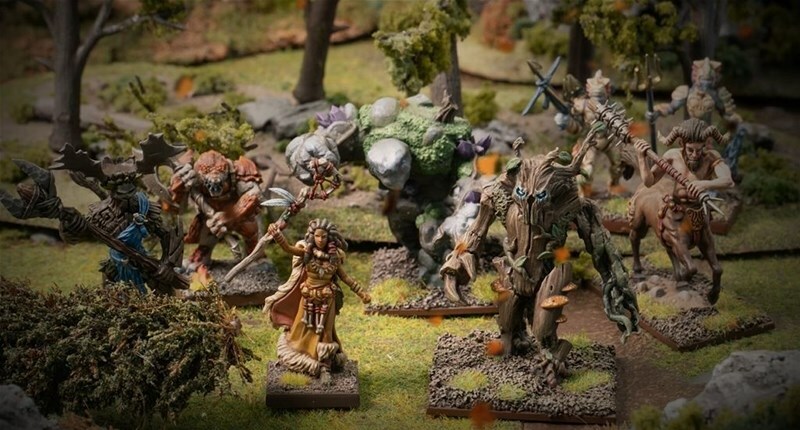 If you're wanting to get in on Mantic's Kings of War: Vanguard, now's your chance, even though the Kickstarter's over. They are taking late pledges now through the month of February. It's important to have a game that's balanced. No gamer likes looking across the field and thinking, "well, that's a cheesy force." People want to play the figs they want to play and have a chance at winning. Well, when problems are found, the company behind those games should make sure they fix things. 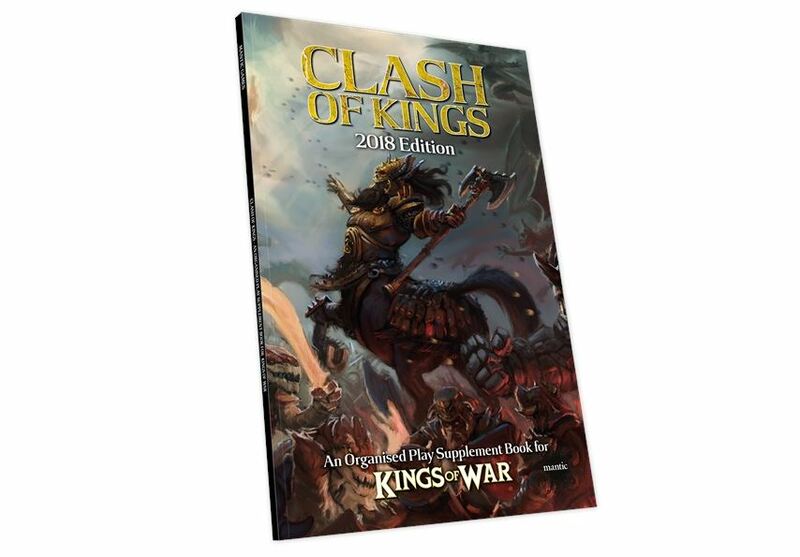 That's what Mantic's got with their Clash of Kings supplement for Kings of War. It rebalances various units to make them even across the board. It also has brand new formations for all the Kings of War factions, plus several new Living Legends. This book's got it all, and you can get your copy now. It's getting cold out. Some people are more used to cold than others. Those that live in the cold, northern part of Mantica are certainly used to it. But they are heading south, looking to get some feeling back into their fingers. 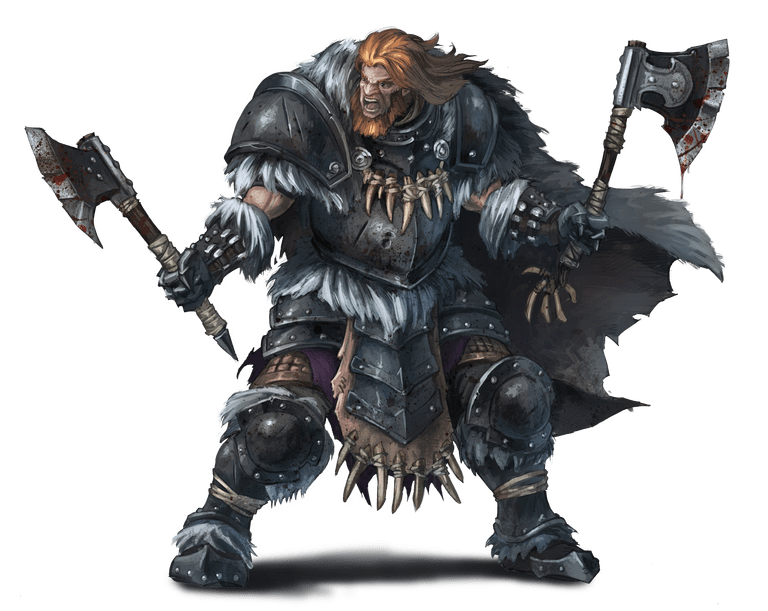 As such, the Northern Alliance is making its way into the Kings of War: Vanguard Kickstarter campaign. It's here, folks. Mantic has launched their Kickstarter campaign for their new skirmish game, Vanguard. If you're a fan of their Kings of War game, but kinda want something with a smaller model count, this is just the game for you. The two systems are actually fully compatible. So feel free to mix-and-match between the two. The Kickstarter campaign for Mantic's fantasy skirmish game, Kings of War: Vanguard, starts tomorrow. But if you know me, you know that I like to know what I'm buying before I put my money down for it. The folks over at Mantic feel that you should also know what you're getting into before you put your money down. And so, they've posted up the Alpha rules for the game online. You can download them now, read them over, and if the game is for you, pledge tomorrow to get yourself a set. 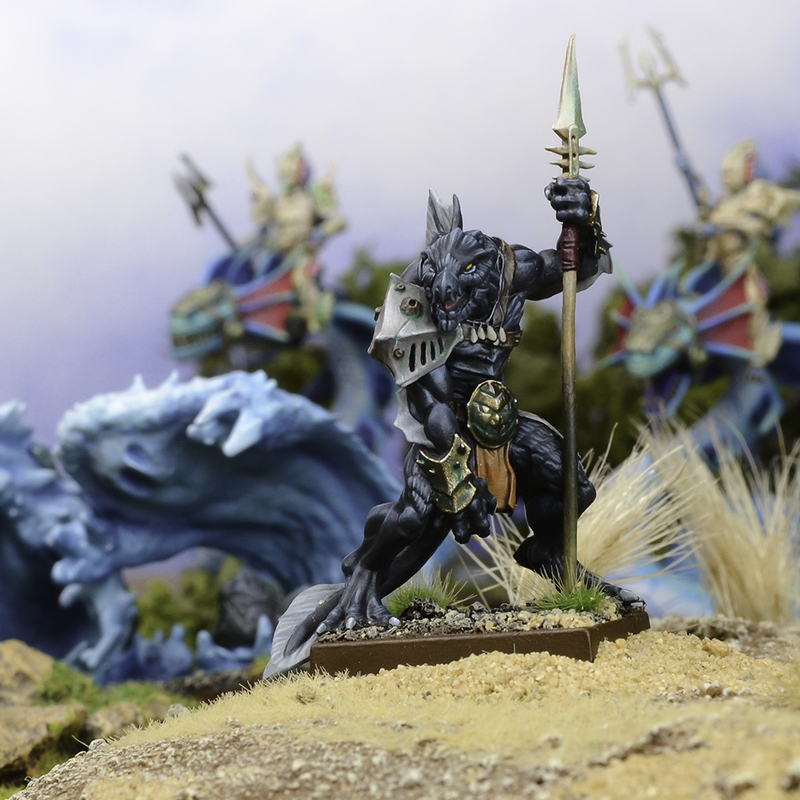 Mantic is headed to the skirmish realm with their fantasy range with Kings of War: Vanguard. For when you don't want to push whole trays of infantry around, but would instead like to focus on smaller conflicts, it's just the game for you. 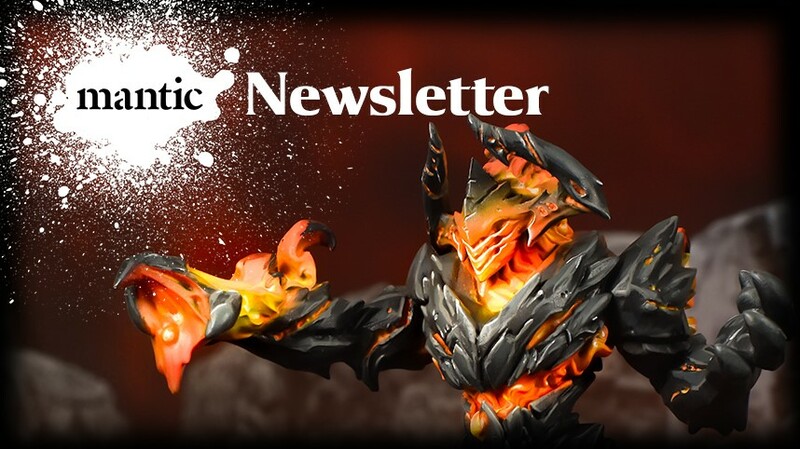 Mantic's posted up some previews you can check out, and be sure to be on the lookout for the Kickstarter campaign to launch in just under a week. I've always loved oversized miniatures. You know, the ones that their base is the size of a CD or a notepad. For you Kings of War players, Mantic has a couple new huge minis that they're taking orders for. You've got the Revenant King on Undead Wyrm and the Steel Behemoth. They're certain to make an impact on the battlefield... possibly literally. The latest releases for Kings of War, Mantic's fantasy battles miniatures game, are now available over in the Mantic webshop. There's quite a lot to check out. There's the Edge of the Abyss summer campaign supplement book for you veteran players. But you don't have to be a veteran to play in it, of course. And to help new players get started, there's the Battle of the Glades 2-player starter. That's also available. Add to that some movement trays and some heroes, and you've got quite a thorough set of releases for the month. Kings of War is exploding this July. Mantic's Edge of the Abyss campaign looks to greatly add to the game, and hopefully bring in lots of new players. Mantic has filled up their webshop with lots of new releases, and they continue to add to it. This time around, it's the Tree Herder, Vampire on Undead Pegasus, Spell & Magical Artifact Cards, and some new Movement Trays. The Edge of the Abyss campaign is Mantic's summer event for Kings of War. In it, there's several stand-out characters, whose actions will determine the fate of all. If you'd like to add these characters to your armies, you will soon be able to, as Mantic has begun taking pre-orders for them over in their webshop. I do so love a campaign system for games. I've never been too hot on tournaments. Too much pressure all at once. But a nice campaign, over the course of a couple weeks or months, spreads all of that out and is just more enjoyable, in my experience. 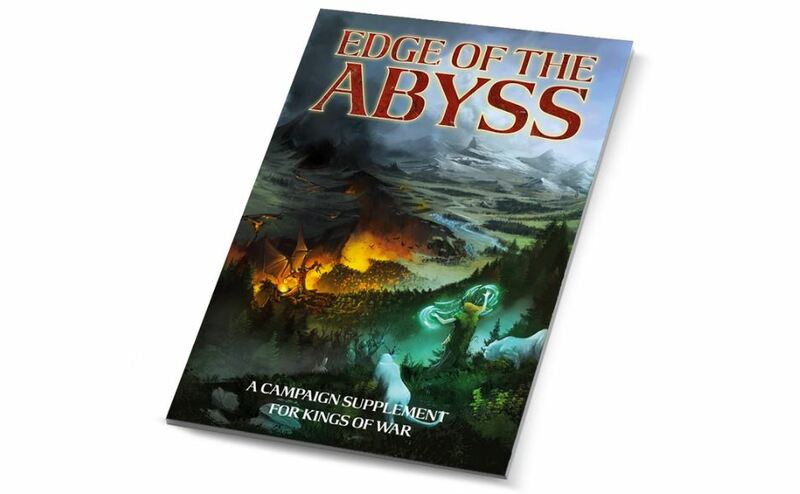 Well, Mantic is giving players the tools to run a summer campaign in Kings of War using the Edge of the Abyss book. It's available for pre-order now. The Nyriad armies in Kings of War are making their way onto land. They may be out of their element when it comes to humidity levels, but they are certainly in their element when it comes to making war. There's several new units that are joining the main push of the army as they take on us air-breathers. I still really never want to go out into the ocean. There's all sorts of things out there that we may never fully know about. And while the chances that there's a race of super-intelligent fish-people with their own civilization are pretty low... we don't really know that they aren't there. They certainly are in Kings of War, and they've got new units available for pre-order now. There's a lot of things that live out in the ocean. Whales, fish, squid, whale-fish-squid-men... It's that last group that you should really worry about the most. But if you can take control of those fierce fighters, you can not only control the waves, but potentially the land, too. But how hard would it be to take over such a group? Actually, pretty easy. 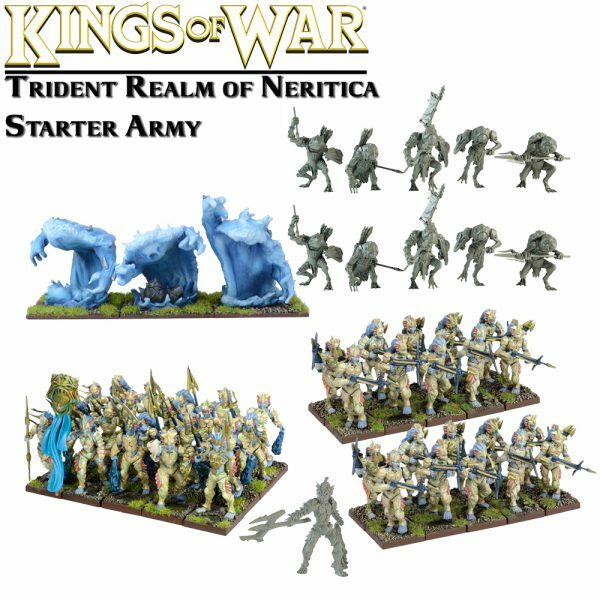 Mantic is taking pre-orders now for the Trident Realms forces for Kings of War. We're only 4 days away from the end of 2016. I know a lot of people are going to be very happy about that. Lots because 2016 wasn't the greatest. But, really, it's also because there's a lot to look forward to in 2017. Certainly, the folks at Mantic have a lot planned, and they've laid out some of their announcements in a new article.